Trenchless Innovations is proud to provide effective, non-invasive air duct & sewer repair services to the residents of Lombard, IL and the surrounding areas. See our service reviews below to see why we’re such a big name in Lombard, IL for sewer & duct repair. All the members of the Trenchless Innovations team were extremely helpful explaining the process and keeping me in the know of just how it was progressing. They were efficient in their tasks and courteous to me and careful to protect my home while doing the work. I would recommend Trenchless Innovations. Video inspection of underground air ducts. Ducts are concrete with metal connections and fittings. 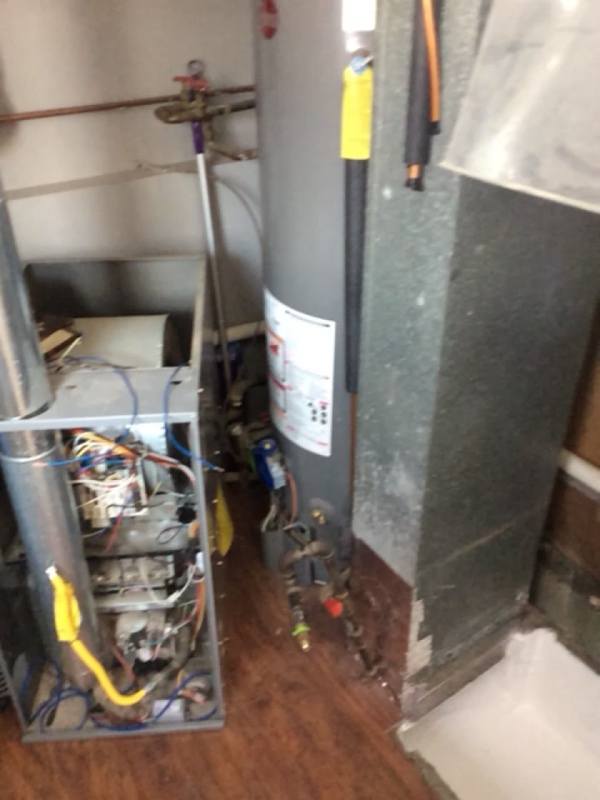 Customer is getting water in the ducts. Customer needs to extend downspouts around the house then also fix gutters that are leaking. Customer should also install a sump pit and pump to control the water. Once the water issue is resolved the ducts should be spray lined with Duct Armor duct lining material to encapsulate the concrete pipes. Televised under slab air ducts in home. Registers and fittings where heavily rusting and deteriorating, letting sand from back fill into system. Giving customer estimate to repair and seal system with Duct Armor. We just finished restoring some underground duct work in the lower level of a home under a concrete slab, we were able to use our duct lining product to seal joints that were allowing air to leak through cracks in the slab floor, also encapsulated the transite pipe that was used for the air duct. Cleaned over 160’ of underground duct work and applied our Trenchless casting to give the ductwork a strong structure. We then encapsulated the air ducts with our Duct Armor material to completely seal them . Video inspection of underground air ducts. Ducts are concrete with metal connections and fittings that are rusting allowing fine dust and debris to enter the pipe and get blown throughout the house. Suggest spray lining the ducts with Duct Armor Duct lining material. Video inspection of large 36” underground ducts for the Lombard Park District building. The Duct is metal and extremely rusted. Trenchless Innovations will provide a quote to spin cast mortar a new concrete pipe inside the old pipe to restore the structure. After the structure is back then we will spray line the Duct with Duct Armor Duct lining material. We came out to televise some underground duct work for a customer to find the lines were filled with water and mud/dirt. We recommended running the downspouts out away from the house to lower the water table from rising up under the slab allowing water to enter the ducts. Sure enough a few weeks later the water was gone, then we were able to clean all the duct work, also spin cast mortar the bad metal pipes/ connections for structure. Finally we applied duct armor to seal the HVAC system. Video inspection of drain tile going back to a sump pit because there is root growth in the line. Video inspection of below slab transite air ducts. Water and mud are getting into the system.